There’s no official ceremony or voting mechanisms, but this award is probably the most prestigious in the world of Cake1. Dubbed the Plantagecake2 (Plan-tadj-eh-cake) in homage to the generous dosage of Plantagenet Cabernet Sauvignon, this two-tier circle of chocolately goodness was baked to celebrate the launch of The Black Truffle’s new website. The recipe is from Pantry in Suburbia (Thanks Jacqui!) and since we didn’t have any fig jam handy, ours had a thick layer of ganache sandwiched in the middle like a giant chocolate creme Oreo. 1) Preheat the oven to 160°C, and non stick your tin (I just gave my silicon mould a spray with canola oil). 2) In a large bowl, cream the butter and sugar until it forms ribbons. Add the eggs and beat well, then the red wine and vanilla. At this point, the cake will look a little split, but its all good, it’ll come together! 3) Sift the flour, cocoa, baking powder, and cinnamon together, and add to the wet ingredients. Mix gently until combined, then spread batter into the greased tin/mould. 4) Slice up a pear into half cm slices, and arrange them gently on top of the batter in any pattern you like. 5) Bake for 25 to 30 minutes, or until a skewer comes out clean. Cool in pan for about 10 minutes, then flip out of pan and cool the rest of the way on a cooling rack. If you’re using a silicon mould, wait until its completely cooled before turning the cake out. 6) Warm up a couple of tablespoons of fig jam in a small saucepan, and brush it over the cooled cake. If you wish to add ganache just make sure the cake is fully cooled! The cake does not rise a huge amount, so I would make 2 cakes if you’re looking to layer them. 1. 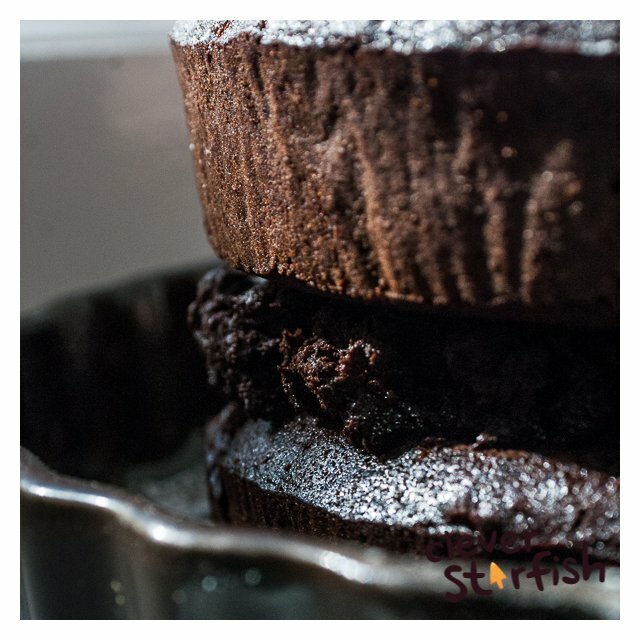 The world of Cake is where Starfishland exists, and is totally not made up. Like the Internet, most of its inhabitants are feline.